The CTS-M5 Series is a microprocessor based transmitter. It uses an Electrochemical gas sensor to detect a variety of gases. Typical applications are enclosed parking facilities, refrigeration rooms and oxygen storage rooms. 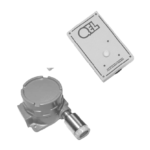 The Q5 Series smart toxic/combustible gas sensor/transmitters use various sensing technologies to detect a wide assortment of gases. The units are housed in a NEMA 4X enclosure with integral relays and buzzer that will meet the most stringent of applications. 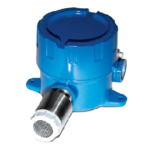 The B5 Series smart toxic/combustible gas sensor/transmitters use various sensing technologies to detect a wide assortment of gases. The units are housed in a NEMA 4X enclosure with integral relays and buzzer that will meet the most stringent of applications. 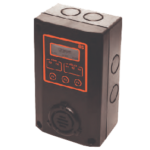 The QIRF Dual Channel Freon gas detectors are designed easily configured to meet the International Mechanical Code, ASHRAE 15, and B52 requirements. The QTS-6000 Series is the latest advancement in economical loop powered analog output toxic gas transmitters. This universal transmitter can be easily configured via solderless shorting links for any of a wide variety of plug-in electrochemical sensors. 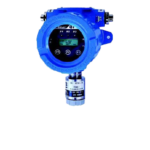 The QTS-1300 Series is the latest advancement in low cost loop powered analog output oxygen transmitters. 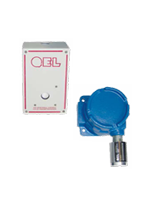 QTS-1710 Series Combustible Gas Transmitter/Sensors. The QTS-1710 Series utilizes catalytic pellistor bead technology for the measurement of combustible gases. The standard sensor is resistant to poisoning substances such as silicones, sulfur compounds, and chlorinated compounds. 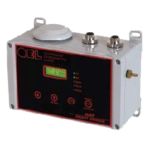 The Q8 series is a digitally controlled, microprocessor based “Smart Sensor” for detection and data transmission of toxic or combustible gases. 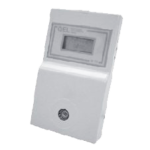 Includes 2 relays, adjustable setpoints and RS-485 communication.